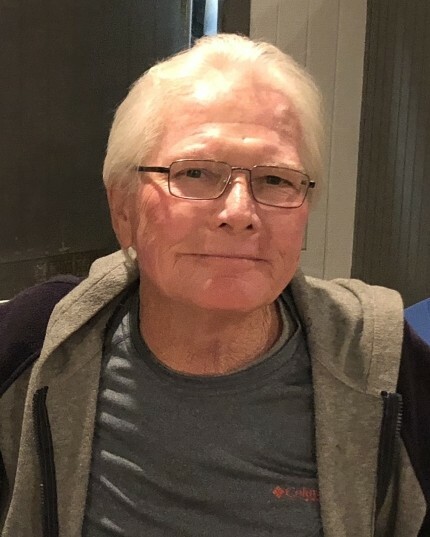 Barry Alan Smith, 62, of Baytown, passed away with his loving family by his side on Saturday March 23, 2019. Barry was born on February 2, 1957, in North Shore, Texas to parents Wallis Wilson Smith and Betty June Britt. Barry was a simple man that loved his family more than anything in this world, especially his grandchildren. They were his real pride and joy. Another of Barry’s loves was the bay, so it is no surprise that he took up his residence right on it. He enjoyed fishing from his dock, watching the weather roll in and the sun go down. He was a true angler and fished many tournaments over 100 miles from shore. One year he fished 50 of the 52 weeks. He was also a skilled carpenter and craftsman and there wasn’t anything that Barry couldn’t fix. After graduating from Ross S. Sterling High School in 1975, he went on to carpenter’s apprentice school graduating in 1979. He had more than 40 years’ experience in the commercial construction industry as a second-generation Superintendent with Miner Dederick. Some of his construction projects while there included projects at the Rice University, Lone Star College, University of Houston, Greenway Plaza and The Hotel Galvez in Galveston. Barry was honored with numerous Awards of Excellence for outstanding service and a commitment to seeing these projects through to completion. After the closure of Miner Dederick he joined Linbeck where his primary focus was The KIPP Schools. Barry’s legacy will live on at Linbeck and he will be remembered for his work ethic, humble spirit and commitment to excellence. A true gentleman who always brought a positive can do attitude and never failed to have school ready for classes on the first day. Barry is estimated to have impacted over 5,000 KIPPSTERS in his time with Linbeck and his passion and dedication will continue to shine in the walls of the beautiful schools he created. Barry lived up to his commitment to his employer up to his last day on this earth; he responsibly reported to work last Friday, completed his week, put in his work and then went on to eternal rest the next day. Barry will be missed by all that knew and loved him, and in the meantime, he’ll be “Just Piddlin’ ” in Heaven. Barry was preceded in death by his parents. He is survived by his children, Victoria Robbins and husband, Kenneth, Derek Smith and wife, Celeste, and Marisa Jones and husband, Matt; grandchildren, Corey Robbins and wife, Skye, Karma Sample, April Smith, Emma-Lei Sample, Ethan Smith, Jenna Smith, Elizabeth Smith, and Max jones; sisters, Cherrie Smith, Mary Millard and husband Jim, step-brothers Ed Turbeville and wife, Stephanie, Glen Turbeville and wife Josephine; and his Step-mother, Julia Turbeville; as well as numerous other family members and friends. The family would like to be send a special thanks to Linbeck for their support during this time which allowed Barry to do what he loved until the very end. The family will welcome friends from 4-5pm., for Barry’s visitation, on March 30, 2019, in the chapel of Crespo and Jirrels Funeral Home, 6123 Garth Rd. Baytown Tx., 77521. A memorial service following the visitation will begin at 5pm.